There are churches where worship leaders make a procession into church every Sunday: acolytes, priest or pastor, choir, and possibly more in a majestic trip down the aisle to the altar. There are also churches where there is only one day when anyone processes: Palm Sunday. The kids have their palm branches to wave and some grownups are in with them, making surethat the branches get waved, not sued to strike anyone, and that nobody gets trampled during the joyous procession. The choir isn’t sure where to gather before the procession and maybe they end up in the narthex, talking about how they can’t hear their cues. Then there’s confusion over which aisle to walk down, or the precise route they should take into the choir loft, and an elderly soprano drops her hymnal and the choristers behind her pile up while someone helps her. Palm Sunday is a joyful day, so the processional chaos doesn’t usually spoil anyone’s worship experience, but it can be avoided. 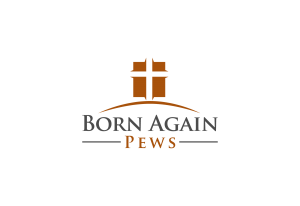 The first thing to consider is the placement of pews and other worship furniture. 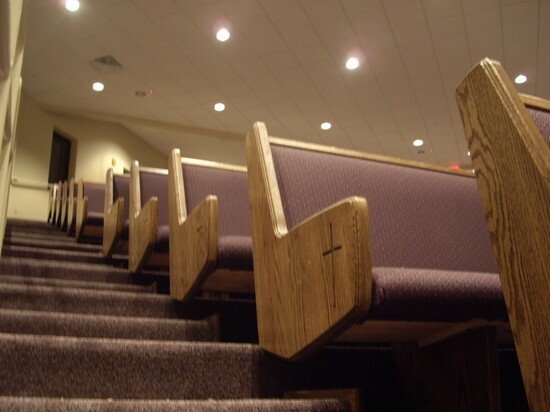 The best time to think of this is when buying new pews. Much of the decision depends on the worship style of your church. However, if you usually have simple services, you might not think about special occasions like Palm Sunday or even weddings, when there’s likely to be a procession. Is there a place for the choir to line up when they process? Is there a place for people to stand before they enter, and will they be able to see or hear their cue to begin? Is there a clear path from at least one of the aisles to the pulpit and the choir loft? If your choir is robed, you need to bear in mind that a robe plus a hymnal and a palm can make it harder to navigate up steps and around a baptismal font, especially if your choir contains older people. If you take these things into account when planning your worship furniture, arranging those occasional processions will be easier. There is really only one enormous difference between those churches where processions are part of the usual worship experience and those where it’s a special event: practice. Take time during choir practice or Sunday School to practice the procession — and let the kids make practice palm fronds out of construction paper so they get a chance to get used to that part of the processional, too. With a little forethought, Palm Sunday processionals can remind the congregation of the triumphal march of Jesus into Jerusalem — and that’s the whole point.